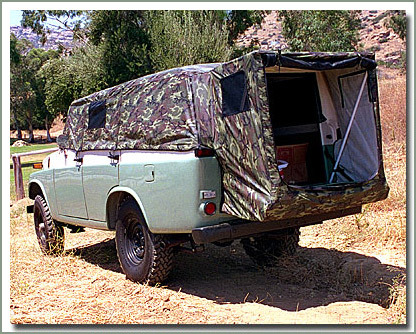 Specter Off-Road introduces the SOR Wagon Tent. 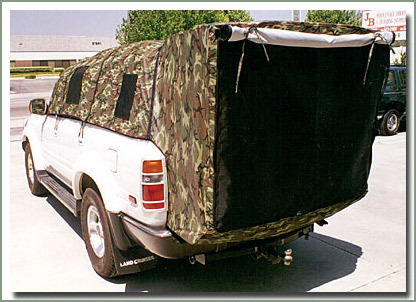 Great for those weekend 4 wheeling trips or that off-road vacation you always wanted. 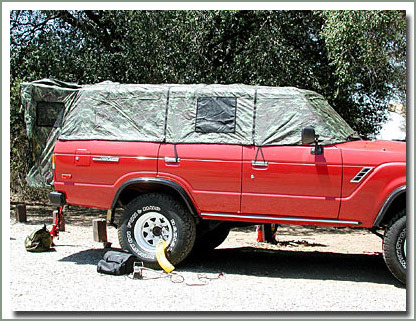 Installs in minutes, and no drilling or modifications are required. The 55 Series installation requires separate purchase of (3) - 46 inch lengths of 1/2 inch P.V.C. tubing and (2) - P.V.C. elbows. 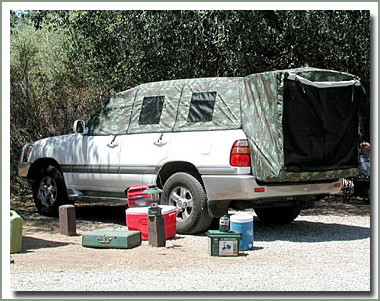 Features include Plastic rustproof zippers, bug screen mesh over all openings, privacy closure flaps and optional sun canopy that can be placed on either side. 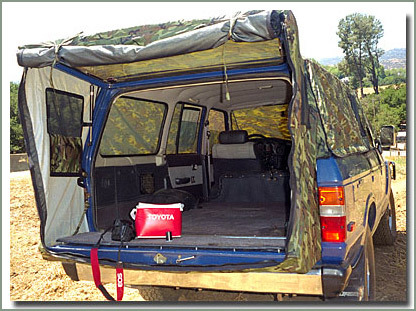 Tent also contains an alcoved enclosure to extend the sleeping area. 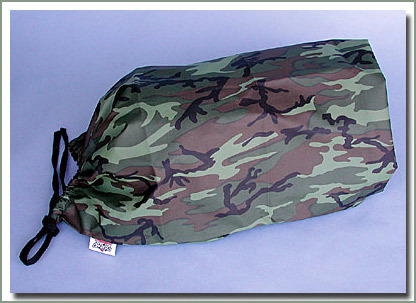 Made from woodland camo rip stop coated nylon tent material. 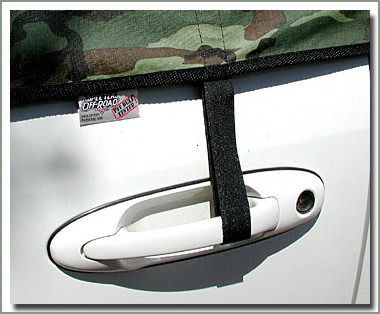 Securely fastens via hold down straps to the door handles. 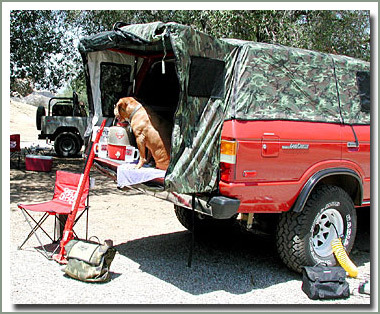 A must for any happy camper.